Nashville, TN (April 10, 2019)—A highlight on country act Old Dominion’s current arena tour has been the performance of a new song, “One Man Band,” with the moment underlined by the group using an Edwina vocal microphone from boutique mic manufacturer Ear Trumpet Labs. The large-diaphragm condenser Edwina model was selected for the quieter moment in an otherwise high-energy set, as lead vocalist Matthew Ramsey is joined by lead guitarist Brad Tursi to share the Edwina microphone for vocal harmonies. Awave is moving to a bigger and more beautiful premises in Hawthorn. We are clearing ALL of our showroom stock. NOW is the time to buy. Pricing will never be this low. Once its gone, it gone! Sear Sound’s Chief Engineer Chris Allen discusses what upgrading to the Aurora(n) means for this legendary studio and how transparency matters. 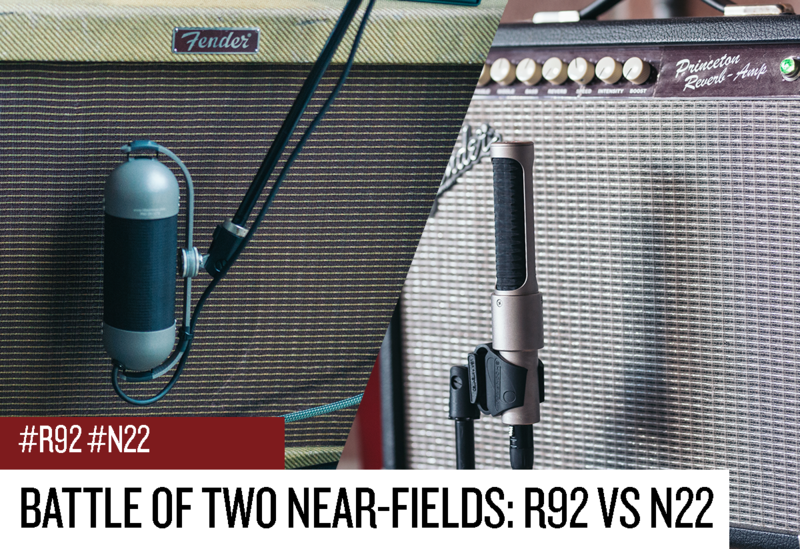 Following his recent performance with the Red Hot Chili Peppers on the 2019 Grammy awards Post Malone has embarked on a world-wide stadium tour taking a pair of Aurora(n)s along for recording and live playback tracks. The Aurora(n) was chosen for the fidelity and reliability to be the centerpiece of the playback rig. Seen below, two Lynx Custom Shop 24 channel Aurora(n)s each with an LM-DIG digital I/O option installed. 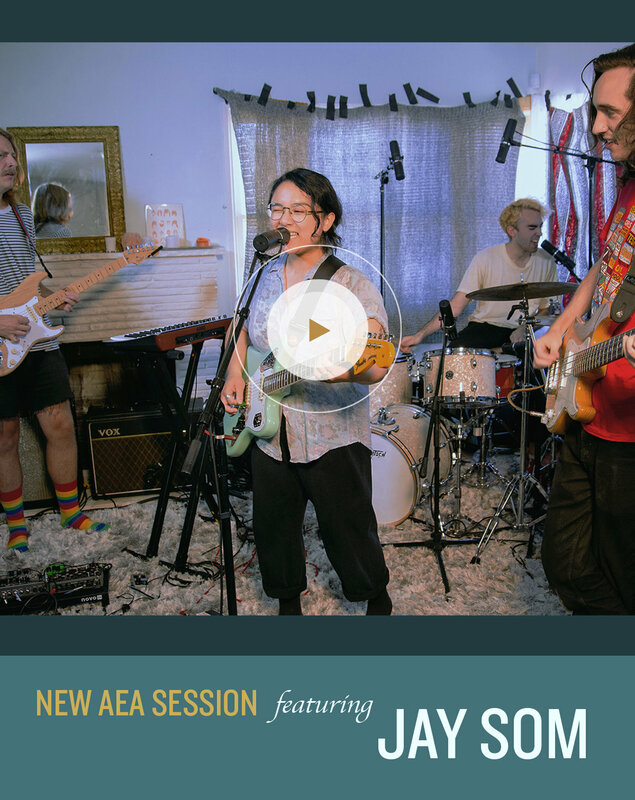 Jay Som is the featured band in one of our most unique AEA Sessions yet. 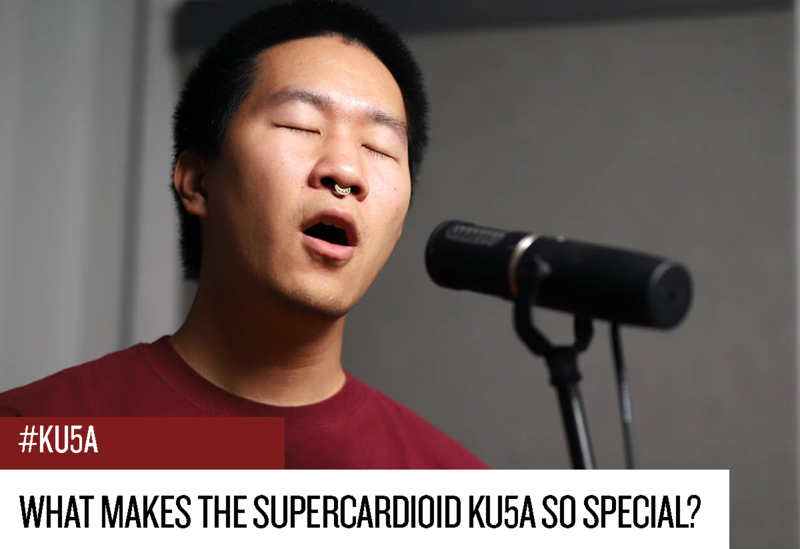 Recorded entirely by the new supercardioid KU5A, Jay Som performs ‘Baybee’ from their 2017 album, ‘Everybody Works’. From the cozy comfort of a living room-turned-practice space, Jay Som demonstrates a playful, but precise chemistry. Back in the late nineteen eighties I ran a small boutique by appointment only high end HiFi shop, and at that time our preamplifier of choice was the MANLEY (their first and only product at the time if my memory serves correctly), which we considered to be the finest audio product in the world. Not long after that, MANLEY moved into pro audio which they quickly took by storm and has remained their primary focus ever since. When I met Zia Faruqi at T.H.E. Show Newport 2016 demonstrating the original samples of the MANLEY Absolute Headphone Amplifier I knew this was a product I had to review. Not only was it aesthetically distinctive and beautiful, it offered unique features not seen before in Personal Audio, and exceptional performance that was apparent even at a crowded HiFi show. If I have this correctly, Zia Faruqi was David Manley’s first employee at the first Vacuum Tube Logic company in England in the 1980’s. The Absolute Headphone Amplifier was Zia’s brain child and he is responsible for the Design Concept, Industrial Design and acted as Project Manager throughout the entire development process going so far as to personally accompany the product to a plethora of Personal Audio Expos. The MANLEY Absolute Headphone Amplifier boasts of fifteen independent operational controls “each of which was exhaustively developed for convenient adjustability and aural variety.” Two selectable stereo RCA jack pairs of their own design, Teflon® insulated and gold plated, receive the input signals. The volume is controlled on the facia by a front thumb wheel or by the included RF remote control employing a precision stepped relay ladder matrix attenuator in half dB steps, with the Mute switch situated next to the volume control wheel. Vertically mounted just in front of the tubes you will find Baxandall Bass and Treble equalizers that can be completely bypassed via a separate button, and a Balance Control which has a signal swing of up to 144 dB (In the center detent position the balance control is completely removed from the circuit). In addition to the EQ bypass switch there is a button for mono, source, output (¼” TRS Headphone Jack, a 4-pin XLR Balanced Stereo Output for your high-end balanced headphones, and a set of stereo RCA outputs to use the Absolute Headphone Amplifier as a line-level preamplifier in an existing hifi system) and a button that cycles the transformers through three ranges of output loads (Low 12-50 Ohm, Mid 50-200 Ohm, High 200-600 Ohms). There is also a selectable Bypass Thru Mode that sends RCA Input 1 directly to the RCA Outputs, when in STANDBY mode, as well as a user adjustable Headphone Overload Protection System which allows you to preset a maximum output level. Which brings me to the two most interesting and unique features; the first being the ability to switch on-the-fly between all-triode Push-Pull to Single-Ended topology. Essentially, in Push-Pull mode the Harmonic Distortion is significantly lower, power output is greater and noise floor should be lower, whereas Single-Ended completely alters the harmonic structure from odd-order to even-order which is more musical. The other is my favorite feature the Variable Feedback control which allows you to control the amount of overall negative feedback applied to the amplifier from 0dB, or no Global Negative Feedback, to 10dB of Negative Feedback. The solid billet chassis for the Manley Absolute Headphone Amplifier is available in three color options: Black, Copper, and Silver, and feature hand-rubbed walnut-burl veneer accents for the headphone head-band and ear pad rest areas. For sources I began with the Schiit Modi 3 (review upcoming), later switching in the Questyle Audio CMA400i, the Questyle Audio CAS192D eventually settling into the Questyle Audio SHB2 Super Sourceand finished off with my Audible Illusions phono stage and a turntable. As to headphones I used the MrSpeakers ETHER2, the MrSpeakers ETHER C Flows and the Audeze LCD3 headphones. I will start with, you get out of the Manley Absolute Headphone Amplifier exactly what you put into it, which is high praise for an amplifier, and unusual for headphone amplifiers, especially tube headphone amplifiers because many Personal Audio designers seem to be under the delusion that the amplifier should somehow “improve” the sound of the signal fed into it, this usually means rolling off the highs or adding bass or midrange, or adding delay to create more “air”, or messing with the phase to create a more three dimensional image and soundstage, or dynamic range expansion, or a myriad of other tricks to fool people into believing an amplifier sounds better, not to mention basics like TIMD which makes the amplifier sound crisper, and gives the impression of added detail (well there is added detail, the Transient InterModulation Distortion itself, but that’s not music), when in fact any change in the signal is simply degradation and distortion. After a bit of experimentation, I found that running single ended with the Negative Feedback set to its fully on position (the default position) most fit my tastes and produced the greatest musicality. Listening to Artur Pizarro & Vita Panomariovaite piano duo performance of Rimsky-Korsakov’s “Scheherazade Op 35Andantino quasi allegretto” (Nikolay Rimsky-Korsakov Piano Duos – 24/48 kHz) through the ETHER C Flows was a magical experience with the piano reproduced full and natural in a large recital hall with excellent dynamics, timbre, speed and soundstage. Dusty Springfield’s voice was palpable and intimate through the ETHER2s for “The Look of Love” (Casino Royale – 24/192 kHz) bracketed on a Jazz Club stage by the upright bass, drums, piano and guitar. The saxophone, brass and strings were warm and inviting without any of the usual harshness associated with those instruments. The LCD3s let me explore the Absolute Headphone Amplifier’s ability to handle higher impedance loads, and the on the fly impedance switch made it quick and easy work to change headphones. “Sister Seagull” from BeBop Deluxe’s Live in the Air Age (16/44.1) was reproduced lifelike and lively with a 10th row at the Forum soundstage. Anytime I have a Class A Triode amplifier to audition, I am almost compelled to run vinyl, and the MANLEY did not disappoint. Nicky Hopkins’ No More Changes was a true pleasure to play though the Absolute Headphone Amplifier regardless which headphones I used. The higher resolution of the ETHER2was put on display for “The Lady Sleeps” bringing out the multiple piano tracks and the sweetness of the guitar leads. The MANLEY Absolute Headphone Amplifier is everything I expected when I first saw it and when I asked for a review sample, it is everything you would expect from a world class rare air well respected audiophile tube amp manufacturer. It does what an audiophile amplifier is supposed to do, which is amplify the sound and nothing else, while introducing as little noise and distortion as possible. To say it is musical is to barely scratch the surface, and possibly beside the point, the dynamics, sound stage, timbre and phase coherency are all top notch. 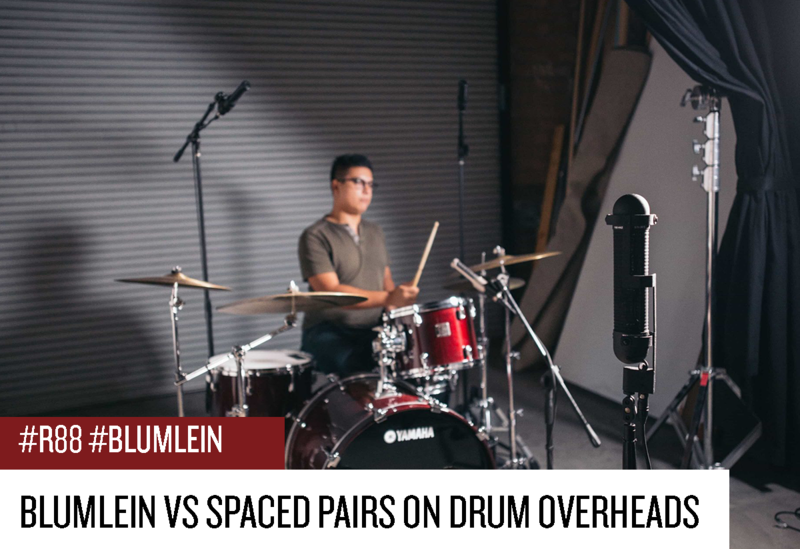 As expected from a true audiophile piece, it demands a top end source and is able to reproduce every nuance fed into it, and likewise it will pull out the pinnacle of what your headphone can achieve, but it will not change the basic character of those headphones. The switchable single-ended or push-pull topology and the variable negative feedback control give real insight into those technologies and why they exist (it should be pointed out that negative feedback in a tube amp, and negative feedback in a solid state amp are completely different animals, negative feedback in a solid state amp can produce high levels of TIMD which is not a factor in tube amps). I found the MANLEY Absolute Headphone Amplifier to be beautiful, versatile (you would be hard pressed to find a headphone that it does not work well with) and fantastic sounding. To put it simply, the MANLEY Absolute Headphone Amplifier is evidence of why those who dabble in the extreme high end of the audiophile world lean towards tube amps.